ESB will acquire up to 35% of Parkwind’s 330MW Oriel project, which is due to begin commercial operations in the early 2020s. Parkwind, which acquired Oriel in October 2017, will continue to lead the development of the project from its offices in Dublin. The two companies will also collaborate on the Clogerhead project, for which ESB holds a foreshore license, allowing it to begin site investigations. Parkwind, meanwhile, will acquire up to 35% of Clogerhead, which has a proposed capacity of approximately 500MW. "This partnership is driven by the strategy of the company which is based on a long-term vision whereby we not only develop, but also operate our projects," said Parkwind’s co-CEO Francois Van Leeuw. ESB, meanwhile, added that the collaboration would "kick-start the offshore wind generation industry in the Republic of Ireland". 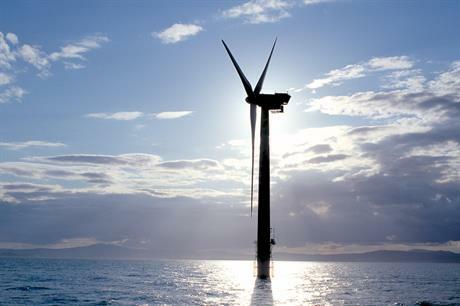 Ireland has just one operational offshore wind farm, SSE Renewables’ 25.2MW Arklow Bank project, according to Windpower Intelligence, the research and data division of Windpower Monthly. Last July, the Irish government approved the introduction of power auctions beginning this year, offering a route to market for offshore wind. Meanwhile, developers Element Power, Innogy and Saorgus Energy are all working on wind farms in the Irish Sea.